from Computer Science Corporation: “Colossus® is the insurance industry’s leading expert system for assisting adjusters in the evaluation of bodily injury claims. Colossus provides adjusters access to your company’s claims data within a defined business process management framework for evaluating injuries, treatment, resolution, impairment and general damage settlements. Colossus helps your adjusters reduce variance in payouts on similar bodily injury claims. Here are some interesting facts about Colossus. Muscle spasm is considered to be the only objective finding for musculoligamentous injury. Permanent impairment for the neck or spine must be viewed skeptically unless confirmed by a specialist or IME. No permanent impairment is recognized for pain. If the doctor makes a “possible” diagnosis, it is not entered. The rules for this system are not in keeping with the clinical or epidemiological literature, the AMA Guidelines, or other recognized authorities, such as the World Health Organization. These are just a few of the dubious methodologies employed by Colossus. All insurers have their own definitions of the severity points in terms of dollar values, and these vary by economic region. 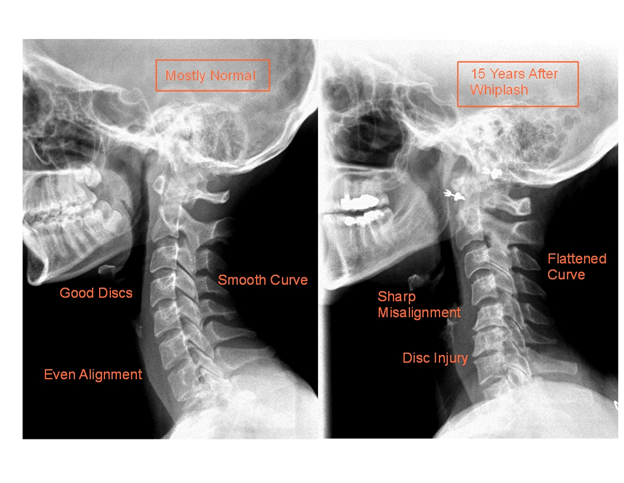 Many of the myths and misconceptions surrounding whiplash have apparently been programmed into Colossus. For example, delays of seeking care red flag the system and alert the insurer to the possibility of malingering. I suspect the designers of the software were acutely aware of who their market was and what they wanted in terms of output. An in-depth discussion of Colossus, including the numerous value drivers, is well beyond the scope of this article. As a matter of fact, the quote from Computer Science Corporation basically says; if the doctor does not establish “true” pain and suffering, don’t pay. They are looking for impairments from the 5th edition of the AMA guidelines, this directly from their website. Here is the problem, attorneys never ask for them and doctors never provide them. But, this is what the software needs to open up, but the medical and legal communities are not communicating the right information. Permanent disability ratings are used to assess the degree of damage that resulted from the car crash. A permanent disability rating, sometimes known as a permanent impairment rating, is an assessment of the severity of the patients permanent impairment. A permanent disability rating is important in calculating the amount of monetary compensation an injured crash victim maybe owed to compensate them for the permanent impairment related to their crash. Once a medical condition has reached a stationary level, at which there is no further treatment available that will improve the condition, the doctor may assess whether the patient has any permanent disability. This stage is commonly referred to in many states as “maximum medical improvement.” This does not mean the point at which the condition will never improve; it simply means the point at which a medical condition is stationary and will not improve other than with the passage of time. 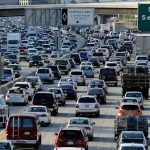 Trauma, especially if it’s related to motor vehicles has led to varied ailments, which remain undiagnosed or poorly diagnosed at times, and impairments are very rarely created. Whiplash is characterized by acceleration / deceleration; this abnormal movement results in a variety of injuries, which include ligament trauma like that of Anterior & Posterior longitudinal ligament, Alar ligament, facet joint trauma, disk trauma etc. The ligaments, the muscles and the small joints form a system, which offers stability to the entire spine. 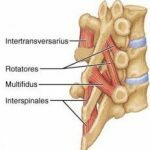 Any injury or pathology of this system is a major threat to the stability of the spine. This condition in which the spine fails to maintain its normal displacement pattern under physiological loads is termed as clinical instability. Clinical instability induced by trauma predisposes the spine to degenerative pathological conditions that promote osteophyte formation, which stabilize the joint in the future. White and Panjabi have done extensive work in this field. They have devised criteria for the evaluation or assessment and diagnosis of a case of clinical instability and various clinical tests have been put forth by stalwarts of this field. Panjabi has put forth a point value system for the diagnosis of clinical instability. He allotted 2 points to the lesion or loss of function of the anterior structure of the spine, 2 points to the posterior structure and 4 points to the radiographic criteria, 3 points to the damage of the cauda equina and 2 points to intervertebral translation observed at resting, flexion-extension radiographs and 2 points to the rotation at the sagittal plane and has also allotted a point to dangerous loading on the spine. He concluded that, cases having a total of more than 5 points qualify for clinical spinal instability. While clinical instability is accompanied with lower back pain, stiffness or muscle spasm or painful locking up of the spine, spinal impairment on the other hand is associated with sensory and motor deficits. Based on the level of trauma and the damage, various evaluation methods have been proposed. The Diagnosis Related Estimates or the DRE, proposed by the American Medical Association is an important guideline for evaluation. It focuses on etiology, radiculopathies, motion segment alterations and disk herniations and stenosis of varying degrees. The ROM method of assessment is an easy step by step guidance for assessment. Measuring the range of motion of the affected spine is followed by classifying it into a specific pathology and then followed by noting the nerve deficits. The inference from all these is combined and a logical diagnosis is arrived. The American Spinal Injury Association has graded the varying degrees of spinal impairment. Grade A being the most severe, refers to a condition of complete spinal injury with both motor and sensory deficits with loss of function in S4 and S5. Grade B refers to incomplete spinal injury, where sensory function is preserved and motor function is lost. Grade C refers to an incomplete spinal injury, where the muscle grade is less than 3. Active movement of muscles with full range of motion of joints against the gravity is preserved. In grade D motor function below neural level is preserved and a muscle grade of more than 3 is present, and grade E is a near normal condition with no possibility of a spinal injury. While, clinical instability does not involve sensory or motor deficits, it leads to minor disabilities, which affect the activities of daily living. Chronic low back pain with muscle guarding and unwillingness to attempt any unusual movement or exercise has a negative impact on the quality of life. On the other hand, advanced cases of spinal impairment pose greater threat to life and permanent disabilities.